Multivitamins are more important than ever. This Best Multivitamin Supplements 2018 Edition guide discusses recent multivitamin advancements and how you can pick the best supplement for your unique needs. Start here to get the right combinations and dosages of essentials for overall health and vitality. Click here to jump down the page to our analysis of why these multis are 2018’s Best 5, plus details on where to buy and find the best prices. 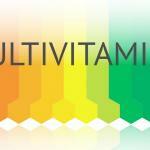 Multivitamins are the earliest and purest example of nutritional supplements. But our best multivitamins supplements 2018 list includes some advanced new takes on the basics. Vitamins and minerals are nutrients that are required by the human body for normal growth and healthy function across all cells, organs, and systems. “Essential” refers to the fact that for the most part, humans cannot make their own vitamins and minerals, and instead must obtain them from their diet. These are the primary focus of multivitamin supplements. The original concept behind these multivitamin products: Supplement the nutrients consumed through normal diet with a wide range of vitamins and minerals, thereby eliminating any risk of nutritional deficiencies that are directly responsible for a myriad of health concerns. In 2018, some multivitamin supplements are trying to do a lot more. Similar to other nutritional supplements categories, modern multivitamins are sometimes hybrid formulas that combine basic essential nutrients with extra support for fat burning, antiaging, and other aspects of health. These formulas can be well executed, but can also be confusing. There are also straightforward multivitamin formulas that supply just the essentials, and nothing more — but may do so in a more sophisticated manner that delivers better nutritional health benefits than ever before. Multivitamins can contain a lot of different ingredients. They can use vitamins and minerals sourced from exotic fruits and vegetables, or sourced from a genetically-modified organism or eco-destructive mine. Confusing matters further, multivitamins may combine essentials with any other nutrients for targeted benefits (energy, weight, brain, etc.). Additional minerals sometimes included in multivitamins: potassium, phosphorous, vanadium, iodine, molybdenum, manganese and others. Beyond the vitamins and minerals themselves, consumers are looking for some specific lifestyle-oriented features in their Multi supplement. When you are looking to buy a multi, the above lists include the basic nutrients to seek out. In 2018, we know that some forms of these nutrients are simply easier to absorb and use than others. Consumers and supplement manufacturers alike are now gravitating away from cheaper, synthetic vitamins and minerals, which are altered in a way that makes them different from what we see in foods. As a result, these isolated nutrients are believed to have less bioavailability, potentially making them less active and effective than whole food nutrients. 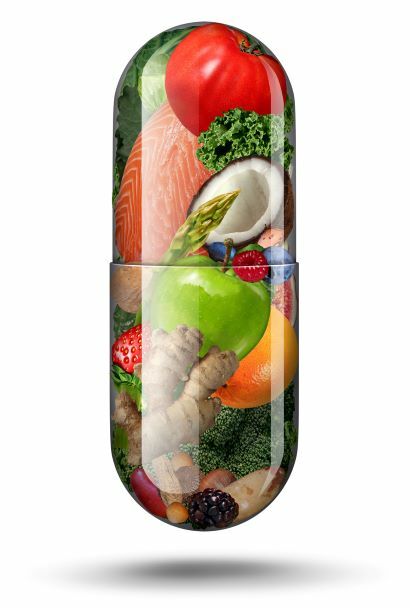 Concerns over synthetic vitamins and minerals has led to the rise of advanced forms that make them easier to absorb, more bioavailable and more beneficial. In general, nutrient forms that are most similar to whole foods are thought to be superior to the synthetic and isolated forms found in low-quality multivitamins. Having a clean label is important in the multivitamin supplement category in 2018. That’s why many nutritional supplement manufacturers are striving to create formulas that are as clean as possible. This applies to the nutrients themselves. Manufacturers will take care to source vitamins and minerals that are eco-conscious, not genetically modified, or otherwise “dirty” in their origins. It also applies to the delivery form of the multivitamin supplement. For example, manufacturers are using higher-quality powder filled capsules, liquid capsules, softgels, and other delivery forms to meet consumers demand for clean products. High-absorption, bioavailable multivitamin supplements are all the rage in 2018. This is a good thing. Especially for people who are over the age of 50 or so. Not all vitamins and minerals are easy to absorb. Namely, some of the cheap forms are so difficult to absorb that you don’t get much nutritional benefit. In fact, you might even get digestive side effects. Further complicating matters, as we grow older, some nutrients become harder to absorb. While many people worry most about nutrient deficiency, even having sub- optimal levels of key essential vitamins and minerals has been associated with health problems. For these reasons and more, supplement manufacturers are now focusing on creating and selling multivitamins that are easier for the body to absorb. This enables consumers to get the full benefits associated with essential nutrients, while also helping them to avoid negative side effects associated with poor nutrient absorption. Higher-quality sources of essential nutrients are also in higher demand in 2018. Look for supplements that use preferred nutrient sources – ones that are natural or nature-identical. Some manufacturers will source these from actual fruits and vegetables. In another emerging trend, supplement manufacturers are using cultured and fermented vitamins and minerals that are grown in a controlled setting. These provide all of the benefits of whole food nutrients in a cleaner form. Men and women have different nutritional needs. So the first level of customization that consumers are looking for is gender-specific. 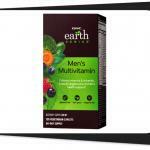 There are plenty of good men’s multivitamins and women’s multivitamins to choose from. The next level of customization refers to multivitamin formulas that are tailored for specific health concerns and stages of life. For example, prenatal multivitamins, thyroid multivitamins, once daily formulas and others. These complex supplements can sometimes muddy the waters of straightforward multivitamin nutrition, and may have smaller dosages by overreaching and trying to do too much. 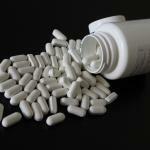 However, customized multivitamins can certainly help contribute to health in specific areas. 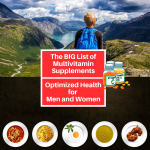 Our best multivitamin supplements 2018 edition includes customized multis. 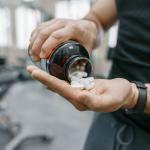 Picking out top-ranking supplements, including in the multivitamin category, can be a little easier if you check out our Best 5 How to Buy A Good Supplement Guide. Healthy – The best multivitamin supplements will pay close attention to all of the details that can affect the consumer’s health, taking great care to ensure that their formulas support wellness. Service – Customer service is always a key to a supplement success. We give extra credit to manufacturers that provide a lot of information about their products, as well as friendly customer service to answer your questions. 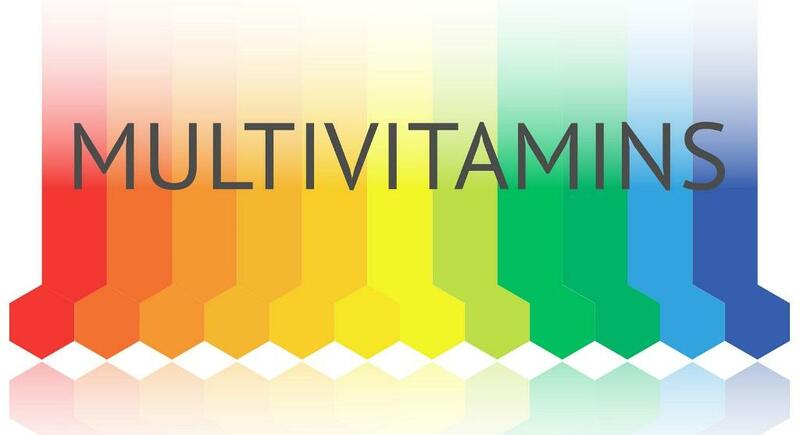 Value – A multivitamin is an investment in your long-range health and well-being. In that respect, “dollar store” multivitamins that are highly compressed and use lousy synthetic ingredient forms aren’t going to support your health very well. And therefore, have very little value. When we look for value, we are trying to ensure a return on your investment – nutritional support that your body can actually use to build your health. We also consider a manufacturer’s reputation, online presence, business rating, and relationship with consumers. Companies which stand out in these aspects are more likely to stand behind their Multivitamin supplements. Performance Lab Whole-Food Multi is a clean clinical multivitamin supplement that focuses on providing good doses of essential nutrients in a sophisticated new form: BioGenesis. The idea is, these nutrients are grown in a laboratory on cultures, so they end up matching the structure of whole-food vitamins and minerals. As a result, they are easy to absorb, bioavailable, eco-friendly, and far cleaner than some other multivitamin forms. 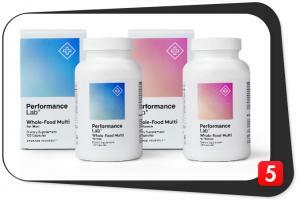 Performance Lab Whole Food Multi has 2 formulas, one customized for men’s nutritional needs, and one for women. Clean Label: Yes. Only additive is NuFlow® Rice Concentrate. Like our #1 best multivitamin supplement 2018, New Chapter Perfect Energy supplies a range of essential nutrients in cultured, fermented form. So they have the same cofactors as whole foods, making them more absorbable and usable. 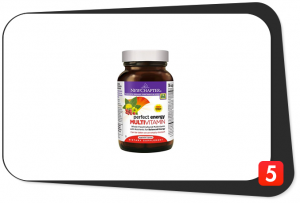 New Chapter’s multivitamin also includes a proprietary blend of organic herbs that are supposed to help with energy, along with some extra antioxidants and traditional herbs like ginger. Clean Label: Yes, for the most part New Chapter takes care to use mostly organic and natural additives, although it does have soy flour in it. Any Deals? Yes, buy more tablets to maximize your savings. $42.40 for 24-Day Supply and $53.01 for 32-Day Supply. Service: New Chapter proudly stands behind its products. However, if you are not satisfied, you can receive a refund of your full purchase price. You may contact New Chapter here. 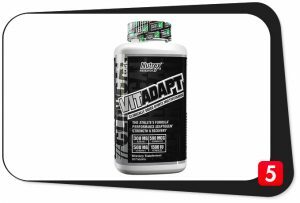 Made by the sports nutrition brand Nutrex, Vitadapt is a hybrid multivitamin supplement that gives you a good range of essential vitamins and minerals, but sacrifices some of their doses to include some adaptogen herbs like schisandra, the awesome T-booster and performance-enhancer KSM-66 Ashwagandha , and Rhodiola. It is designed for athletes who are undergoing a heavy and intense training. It also includes some high quality branded nutrient forms. Clean Label: No. Other ingredients include: Isomalt, Dicalcium Phosphate, Microcrystalline Cellulose, Stearic Acid, Magnesium Stearate, Silica, Aqueous Cellulose Film, Titanium Dioxide. Advanced Delivery: No. Plain tablets only. Service: Nutrex Return Policy lasts for 30 days from the time your order is received for all unused/unopened item(s)/product(s). You may contact Nutrex Research Inc. here during standard business hours Monday-Friday 9am-6pm EST. Made from one of the leading sports nutrition brands EVL, Vitamode supplies a good range of vitamins and minerals augmented by a whole food complex that delivers additional antioxidants and phyto nutrients. An enzyme blend and BioPerine are included to help enhance the digestion of the entire supplement. It throws in some extras, like lutein and zeaxanthin for eye health, choline, and Alpha lipoic acid; but keep in mind the doses of these extras are quite small. Clean Label: No. Other ingredients include: Dicalcium Phosphate, Microcrystalline Cellulose, Stearic Acid, Croscarmellose Sodium, Magnesium Stearate, Silicon Dioxide, Hydroxypropyl Methylcellulose, Polyethylene Glycol, Titanium Dioxide (color). Any Deals? Yes. Buy more tablets to maximize your savings. 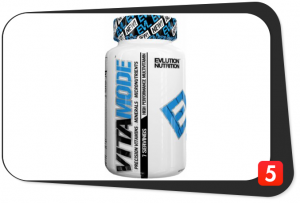 You can buy EVLUTION NUTRITION VITAMODE for $19.99 which is already good for 2 months. Service: All sales are final. EVLUTIONNUTRITION accepts returns for refund or exchange, for items damaged in transit. You may email EVLUTIONNUTRITION at [email protected]. This multivitamin for men is designed to eliminate any unnecessary additives, only leaving higher levels of the vitamins and minerals men need for optimal health. Of course, the dosages of those nutrients are diminished a little bit by the extra nutrients that NOW Adam includes, like antioxidants from grapeseed, co-Q10, resveratrol, and lycopene. So you don’t get the focus multivitamin support, but you do get some extras that help with masculine health. Clean Label: Mostly. Other ingredients include: Cellulose, Stearic Acid (vegetable source), Croscarmellose Sodium, Silica and Vegetarian Coating, Vitamin E from non-GMO soy. Advanced Delivery: No. 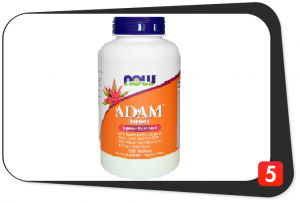 But NOW ADAM offers several delivery systems such as softgels, vegetable capsules and tablets. Any Deals? Yes. You can a bottle which contains more servings to maximize your savings. $53.99 180-Softgel Bottle (90-Day Supply) and $43.99 120-Tablet Bottle (120-Day Supply). There are some pretty amazing multivitamin supplements on the market in 2018. This is a good thing, because we suspect that in general, our food supply is less nutritionally dense than ever. We need those extra nutrients, and we need them in absorbable, high quality forms. Any the products on our Best Multivitamin Supplements 2018 list is a good choice for quality, value and health. They include straightforward multivitamin supplements with just the essentials, as well as some multivitamin supplements with extras for specific health concerns. Check out our full reviews of nutritional supplements, including our multivitamin supplement reviews, for more insight on how to choose the multivitamin that is just right for your specific needs.